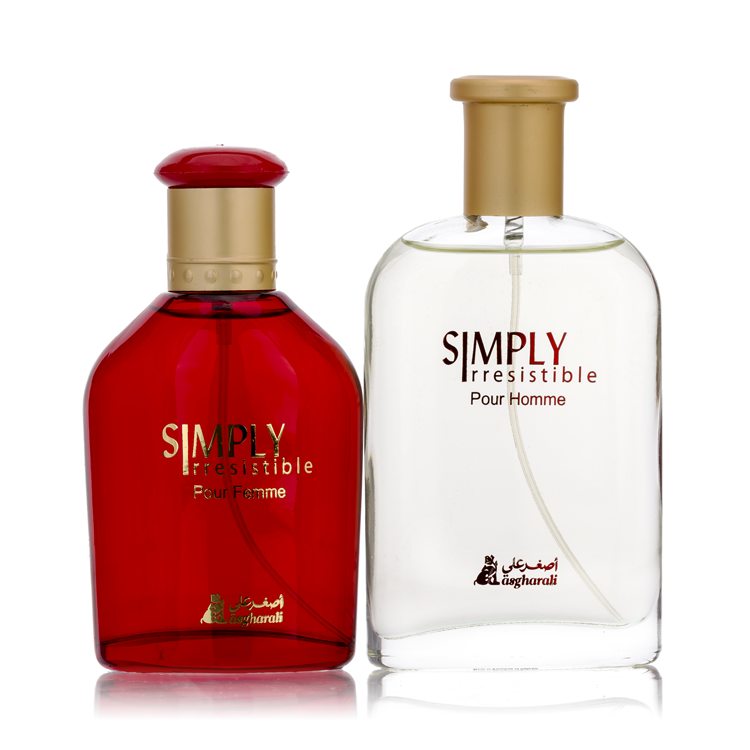 SIMPLY IRRESISTABLE SET represents a fragrance that revolves around a contrast of noble, subtle ingredients. Opening notes for her include of lemon and lavender with middle note of cardamom, jasmine and violet a succulent effect of a finishing touch of musk, vanilla and sandalwood. As for him fragrance notes are of floral and fresh scent are composed of its top notes followed with the soft fruity sweet heart notes for him that provides a sophisticated luminosity and delicacy to the fragrance along with the base noted of woody and musky undertones. This gift set wrapped in a lovely box perfect as a gift or to use for oneself and proves till this date to be a Timeless elegance. SIMPLY IRRESISTABLE SET represents a fragrance that revolves around a contrast of noble, subtle ingredients. Opening notes for her include of lemon and lavender with middle note of cardamom, jasmine and violet a succulent effect of a finishing touch of musk, vanilla and sandalwood. As for him fragrance notes are of floral and fresh scent are composed of its top notes followed with the soft fruity sweet heart notes for him that provides a sophisticated luminosity and delicacy to the fragrance along with the base noted of woody and musky undertones. This gift set wrapped in a lovely box perfect as a gift or to use for oneself and proves till this date to be a Timeless elegance.